On behalf of the Board of Trustees and Search Committee of Cairo American College in Maadi, Egypt, we are pleased to announce that Dr. Jared Harris has been appointed Head-of-School beginning in August 2019. Dr. Harris is currently the High School Principal at Cairo American College where he has served since 2014. He has also held leadership positions at the International School Nido de Aguilas, Chile and the American School of Asuncion, Paraguay. Dr. Harris earned a BA in Psychology and Mental Health Services from Western Washington University, an M. Ed. in School Counseling from Western Washington University and an Ed.D. in Educational Leadership from Seattle University. The Cairo American College Board of Trustees, the CAC Search Committee and Search Associates would like to thank all candidates who expressed interest in the Head-of-School position and to everyone who assisted and supported the search process. Cairo American College, in Cairo, Egypt, seeks an experienced, mission-driven, forward-thinking, student-centered educator, ideally an American citizen, to provide dynamic, unifying, inclusive leadership to an esteemed learning community with an outstanding reputation. 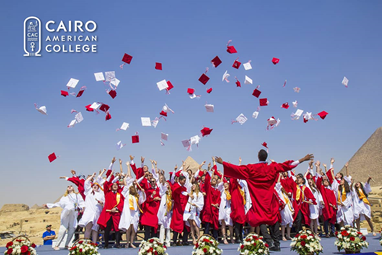 Cairo American College (CAC) is the premier American international school in Egypt and an established leader in American-model education throughout the Middle East. CAC, which celebrated its 70th anniversary in 2016, is an independent, coeducational day school that offers an educational program from PreK through Grade 12. The School operates on a beautiful, modern 12-acre campus in Maadi, about six miles south of downtown Cairo, one of the most prestigious and livable suburbs in the Middle East's largest and most vibrant city. CAC has successfully completed a challenging, but necessary post-Arab Spring right-sizing exercise, and looks to the future with confidence in its ability to continue to grow, adapt, and excel in a rapidly-changing world, while carefully preserving the best of its long history and beloved traditions. 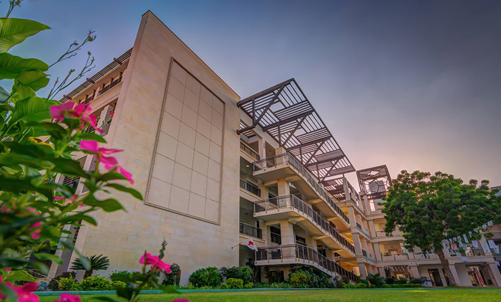 Maadi, with its tree-lined streets, elegant villas, and abundant shops and restaurants, is the center of expatriate life in Cairo, and CAC is the center of expatriate life in Maadi. The School buzzes with activity not only during the week, but also on weekends, as students and families return to attend plays, sporting events, book fairs, concerts, and festivals (the annual International Festival is a beloved CAC tradition), and simply to enjoy the expansive green space and the recreational facilities the campus offers. Outside of school hours, the opportunities for exploration and discovery are boundless. Egypt's reputation as a repository of some of humanity's greatest archaeological, historical, cultural, natural, and artistic treasures is well-known and well-deserved; CAC's expatriate community also discovers that Maadi offers an exceptional quality of life (most teachers either walk or bike to school) and that 5-star beach resorts and some of the world's best and most affordable diving opportunities are a short flight away. The School has 108 full-time and eleven part-time faculty members; half of all full-time faculty are U.S. citizens. 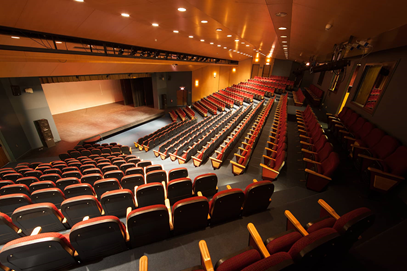 The campus consists of nine independent buildings, including Elementary, Middle and High Schools, a gymnasium, a library, and a 550-seat theatre; two athletic fields; multiple playgrounds; a heated outdoor swimming pool and an all-weather track. CAC is completing an extensive renovation of its High School as the third of a four-stage Master Plan to modernize and improve campus facilities for future generations of students and teachers. 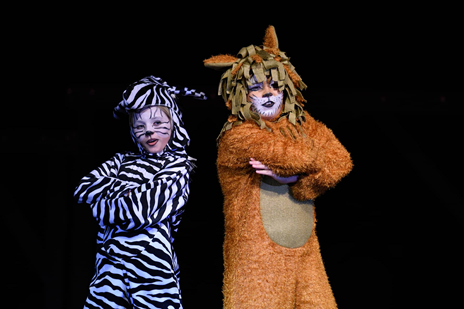 Why: CAC inspires all students to learn, explore and have fun. We build character and motivate our students to positively contribute to their communities. How: CAC ensures that each student achieves her or his educational and personal potential in a safe environment. We collaborate through a partnership of motivated students, exemplary and caring staff, and involved families within a dynamic American educational model, enriched by our multicultural and diverse student body and the school's unique location in Egypt. What: CAC is an international, independent day school dedicated to preparing pre-kindergarten through 12th grade students to succeed in schools and universities of their choice. The CAC student body currently consists of 784 students (PreK-Grade 5: 324, Grades 6-8: 161 and Grades 9-12: 299) to include: 298 U.S. citizens, 174 host country nationals, and 312 students from 53 different countries. U.S. citizens are the single largest group in the student body and comprise about 40 percent of total enrollment. Many U.S. citizens are dependents of staff at the U.S. Embassy in Cairo, with which CAC has a close and collaborative working relationship. 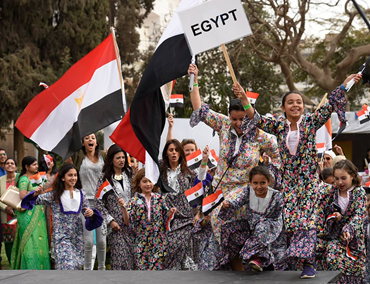 Many of our Egyptian students represent the latest generation whose education their families have entrusted to the School; CAC is proud of its long history of educating some of Egypt's most prominent leaders in business and industry, government, diplomacy, and the arts. CAC's alumni are proud of their school and its traditions. Alumni volunteer their time to serve on the Board of the U.S.-based Cairo American College Foundation, a 501(3) (c) non-profit established to support the School; hundreds gathered in 2016 for an on-campus gala to celebrate CAC's 70th anniversary; several dozen gathered last summer at a reunion in Texas (CAC has deep connections with the oil and gas industry), and all CAC alumni have fond memories of participating in the most impressive high school graduation ceremony in the world, held annually in front of the Sphinx and the Pyramids on the world famous Giza Plateau. CAC delivers a strong educational program that establishes a foundation at the elementary level on which both middle and high school programs can both extend and expand. 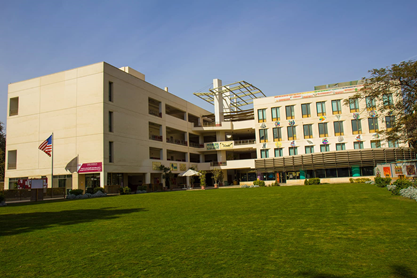 While CAC is clearly a "college preparatory" institution and CAC students successfully matriculate to highly competitive universities every year, CAC is also an international school which serves a student body representative of a variety of unique learning profiles. The diversity of learners is indeed celebrated as a strength of the school. The academic year typically runs from mid-August to mid-June. Well over 90 percent of CAC's graduates each year go on to attend colleges and universities in the United States, Canada, the United Kingdom, and elsewhere. Some of the most prestigious institutions of higher learning in the U.S., Canada, and the UK conduct recruitment visits to CAC on an annual basis. CAC is dual accredited by the Council of International Schools (CIS) and the Middle States Association of Schools and Colleges (MSA). CAC is also certified by the International Baccalaureate Program to off the Diploma Program. CAC is a member of the Near East-South Asia Council of Overseas Schools (NESA), the European Council of International Schools (ECIS), and the National Association of Independent Schools (NAIS). In the best American tradition, CAC is committed to educating the whole child. The School offers the most extensive series of extra-curricular programs and activities of any school in Egypt, and is particularly strong in Sports (CAC has one of the few baseball programs of any school in the Middle East and fields both boy's and girl's teams), MUN, Speech and Debate, and the Performing Arts. Additionally, CAC is a member of and an active participant in the Near East South Asia Council of Overseas Schools, the regional professional association which provides opportunities for development for students, faculty, staff and Board members. CAC is governed by a Board of Trustees consisting of representatives of the School's Five Founding Organizations (the U.S. Embassy, the U.S. Navy, the American University in Cairo, Apache Oil Company, and British Petroleum) and four members elected by the community for two-year terms. The current Board of Trustees has two appointed members. The Board focuses on the long-term future of the School and recently created an Advancement program for the express purpose of further developing the culture of giving that has long been a tradition at CAC. The CAC Board of Trustees is seeking a new Head-of-School for a minimum three-year contract beginning in the 2019-2020 academic year. The Head-of-School will be responsible for all aspects of the School's operations and work closely with the Board on strategic and long-term financial planning. Model CAC's Mission Statement and Core Value. Honor CAC's history and traditions. Provide community-centric leadership to staff, students, parents and other stakeholders. Work with the Board of Trustees to develop and implement policies, procedures, and best practices and ensure successful implementation CAC's Strategic and Master Plans. Maintain CAC as the international school of choice amid growing competition in Cairo. The ideal candidate for the position of CAC's Head-of-School will be an American citizen with outstanding academic and professional qualifications, strong interpersonal and cross-cultural communication skills, an inclusive management style, and an established record of excellence as an educational administrator and community builder. Prior experience in international education, preferably in U.S. State Department-supported schools; experience with the IB program; knowledge and understanding of Advancement programs; familiarity with oversight of construction projects and campus security and occupational safety programs, are all desirable. The School wants to attract the widest possible pool of candidates and encourages all interested and qualified educators to apply. Salary and benefits are highly competitive and will be dependent upon the qualifications and experience of the successful candidate. Candidates are expected to be familiar with CAC's Mission Statement, Core Values, and Strategic and Master Plans, which, along with additional information about the school, can be found on the School's website, www.cacegypt.org. CAC has appointed Search Associates as consultants for the Head-of-School search. David Cramer, Ralph Jahr and Brent Mutsch are serving as the lead consultants. The deadline for applications is 8 April 2018. Candidates are asked to submit a letter of interest and the requested materials as early as possible as the CAC Board reserves the right to close the search immediately if the right candidate is identified. The review of files will begin as soon as applicants are received. Semifinalist candidates will be selected by Search Associates and their application and supporting materials will be forwarded to the CAC Search Committee on a rolling basis. The Search Committee will interview selected semifinalist candidates and two to four finalist candidates will be identified by mid to late-April. Finalist candidates and their spouses will be invited to Cairo in late April and will have the opportunity to meet with the students, parents, faculty, staff, administration and Board. The new Head-of-School will be appointed shortly after the conclusion of the site visits and the interviews of the finalists has been concluded. Candidates who wish to apply for the Head-of-School position at Cairo American College should submit the following information in the form and manner requested. A letter of application no longer than two pages, explaining your strengths as a candidacy and why you are interested in the CAC Head-of-School position. A one or two-page statement articulating your philosophy of education. A one-page list of at least four references who have served as your immediate supervisor with their current telephone numbers and e-mail addresses.